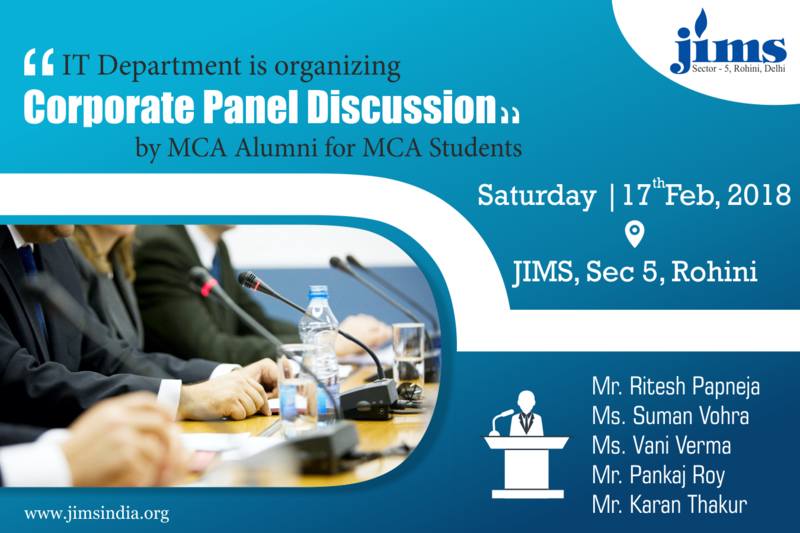 JIMS, Department of Information Technology is organizing a “Corporate Panel Discussion” by MCA Alumni for MCA students on Saturday 17th Feb, 2018 at JIMS, Sec 5, Rohini . The panel discussion is to bridge the industry-academia gaps, by raising awareness about current hot topics and demands in the IT industry. The panel experts from corporate will guide the students about the present requirements and essential issues challenging the industry.